Interested in more information or a tour of our SINGAPORE data centers? Although geographically small, Singapore’s economy plays a pivotal role in the region, acting as a key international business hub and gateway to Southeast Asia, the mainland and beyond.A short drive from Singapore Changi International Airport and the central business district, INAP’s data center is positioned in a strategic location for international trade routes. This facility is also a part of the One-North development, a key project under Singapore’s Technopreneur 21 initiative. 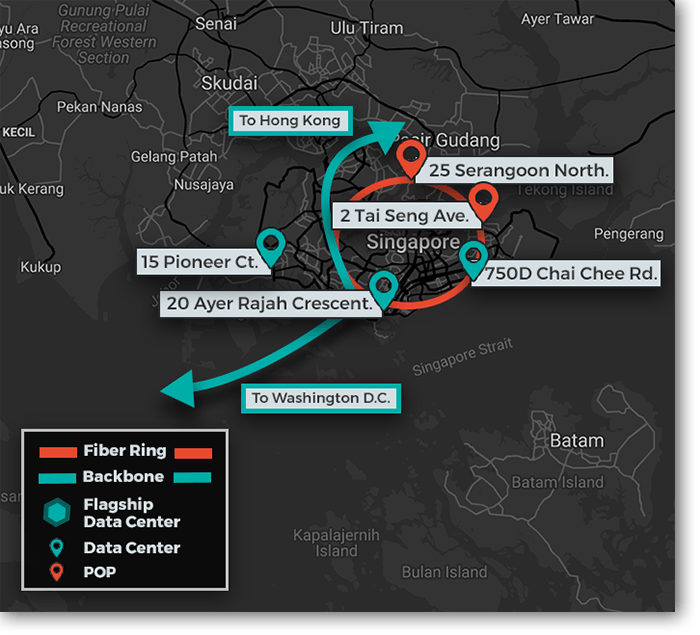 Our Singapore data centers connect to Hong Kong and Washington, D.C. via our reliable, high-performing backbone.